Pocket Bikes are sold out / discontinued - we will not be getting more. Operators based in the U.S.
(all bikes are discontinued and no longer in stock ) Here At SDscooters we have your pocket bike needs covered with only the best available brands and models. Get into the latest craze - pocket bikes have swept the country - join the thousands of people who are riding these for fun, racing their friends and even getting serious by joining the racing big leagues. No matter how you ride you will found out how addictive mini pocket rocket bikes can be. Best of all the prices start at way under $500 - this is one of those rare instances where the low cost doesn't mean you will be getting inferior performance. Even the least expensive pocket bike model is fast and all are easily customized with performance parts and bling. Why wait - get one for yourself and all of your friends today! What is a pocket bike? The simplest definition is "miniature motorcycle" but there is a lot more to them than that. There are 3 types of pocket bikes based on size. The smallest are known as "Pocket bikes", they are extremely popular and often raced professionally. These are the easiest of the bikes to ride. They are powered by 2 stroke engines with automatic centrifugal clutches so there is no shifting. Mini pocket rockets are by far the most popular of all due to their simplicity, ease of maintenance and super low price. We offer starter versions of these bikes in both electric and gas powered by Mototech. Professional versions are made by Blata, Bizeta, and Polini to name a few. 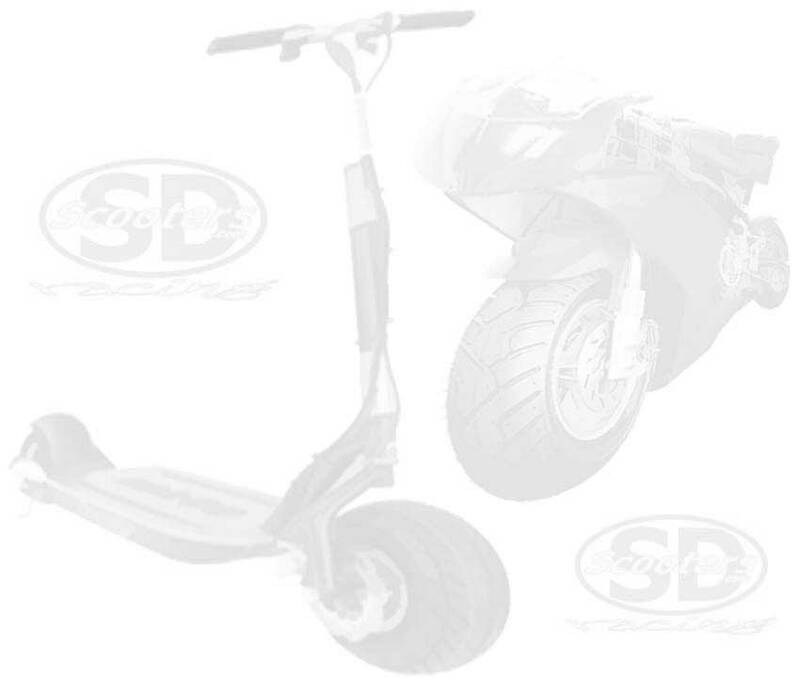 The next size up are are know as "Super Pocket Bikes". They are a bit larger, most were powered by 2 stroke engines, and just like the smaller bikes you just get on and give them gas. Added features include lights, electric start engines, and front and rear shock absorbers. They are styled to look like much larger super bikes and crotch rockets. The 3rd class, a bit larger still, are known as "Mid Bikes" or once again "Super Pocket Bikes". Yep, confusing. These are exclusively powered by 4 stroke engines ranging from 70cc to 125cc with the most common engine size being 110cc. And because they are 4-strokes there is no need to mix oil and gas. They come with 4 speed transmissions with manual clutch ( automatics are available on certain models ) for excellent power and handling more like a full sized motorcycle. Unfortunately due to EPA regulations the super pocket bikes and mid bikes are no longer being imported into the USA. They can usually be purchased used locally. A lot of our customers find them on craigslist or in the newspaper classifieds. If you do find a bike on craigslist you might want to contact us before buying. Parts on certain models are becoming difficult to find so its best to get a "good" model. Just send us an e-mail with the link and we will let you know if there are any parts availability issues. 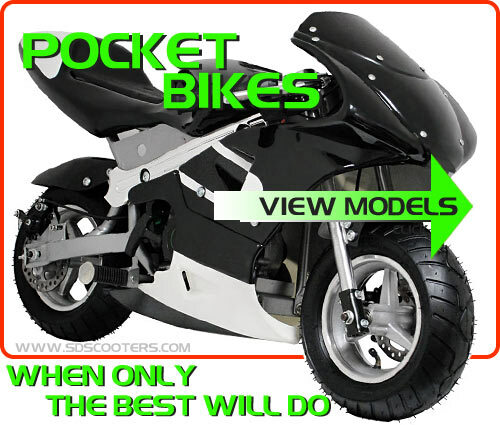 We have full parts listings for all pocket bike models available here.